Colic is quite common among infants and all infants occasionally experience digestive issues. Colic may be related to not having enough good bacteria in the digestive system. 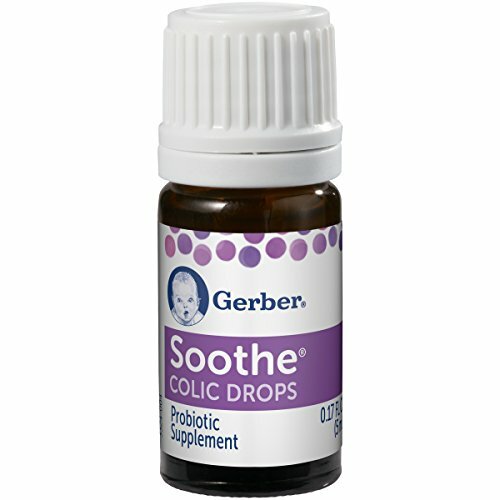 Gerber Soothe Probiotic Colic drops may help support a healthy balance of good bacteria in baby’s digestive system, which can ease colic, excessive crying and fussiness. These statements have not been evaluated by the Food and Drug administration. This product is not intended to diagnose, treat, cure or prevent any disease. The bottle contains a white strip to maintain freshness. Do NOT Remove; Do NOT Eat.